The construction of the breathtaking seven-acre Crystal Bridges Museum of American Art in Bentonville, AR was featured in the July Engineering News-Record (ENR) issue. MMC Contractors is proud to have been the mechanical contractor on this prestigious project and to see it receive this wonderful recognition. Check out the full article by click on the PDF. MMC Contractors was recently ranked 23rd on PHC News magazine's Top 100 Contractors List. To view the full list, click on the attachment. LAS VEGAS, NEVADA - M. J. Harris Construction just awarded MMC Contractors (Las Vegas) the Health South Henderson 20 Bed Addition project. This is an addition totaling 11,543 SF which is attached to an existing 70-bed, 56,000 SF acute medical rehabilitation hospital. MMC Contractors' scope of work includes HVAC, plumbing, and med gas with a contract value of $733,000. LAS VEGAS, NEVADA - The team just heard they were awarded the Northwest Transportation Facility for a local school district. 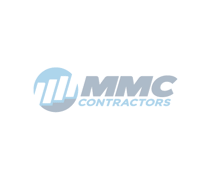 LAS VEGAS, NEVADA - SR Construction has selected the MMC Contractors Las Vegas office as the mechanical contractor of choice to perform the ICE (Immigration & Customs Enforcement) Design-build project. Our MMC Contractors Omaha office is making waves in their community by opening a new 31,000 square foot office space, hosting an A/E/C industry open house, and becoming a leader in prefabrication. In fact, the Midlands Business Journal featured that office in an April 2011 issue. Read the full article by clicking on the PDF.